Dark pink with white patches encircles with flowers featuring words such as "faith" "hope" "love" & "fight". 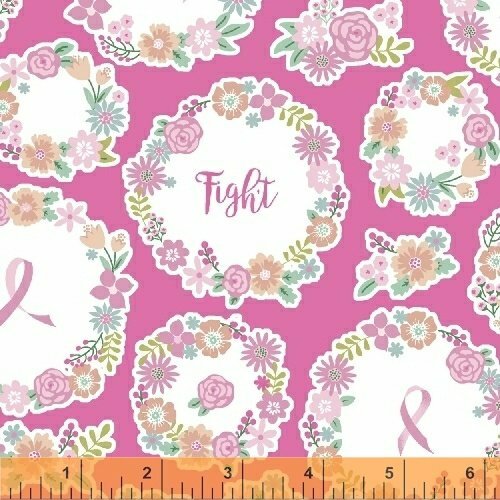 From the I Believe in Pink Collection by Rosemarie Lavin Designs for Windham Fabrics. 100% cotton. 44"-45" wide. .